The Smart Export Guarantee (SAG) is the government’s planned replacement for the Feed-in Tariff (FIT) scheme which ended on 31st March 2019. A consultation is underway for this new scheme which, once in place, should ensure that homeowners are paid for the electricity they export to the grid. The expertise Sunuser has gained in installing over 50,000 solar thermal panels has been effectively transferred to our ‘A’ Grade solar PV systems. We have successfully installed many hundreds of PV systems throughout the UK and are helping both our domestic and commercial customers to save and earn every day! 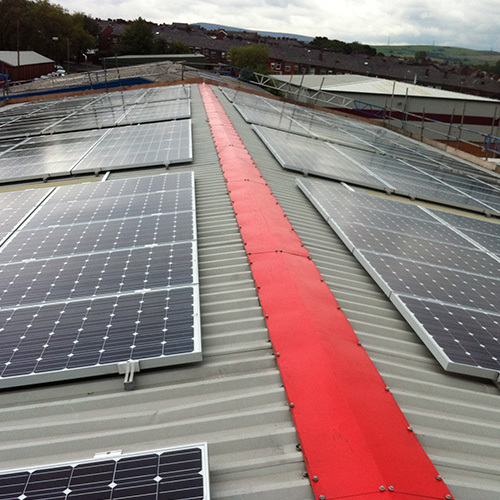 Every Sunuser PV system uses only the highest quality ‘A’ grade silicon and the very best components to create an installation that excels in its quality and durability. We never use ‘B’ grade silicon modules which have been shown to degrade in under 5 years in early adopter countries such as Germany and Spain. ‘B’ grade silicon modules have a cheap price tag but a very short life span. You can maximise your savings by using your electrical appliances during the day powered by your own green electricity. With rising oil, gas and electricity costs, Sunuser’s PV Systems are an excellent solution to generating electricity without costing the earth. Act now to reduce your electricity bills! *SAG (Smart Export Guarantee) is under review by the Government but should ensure that homeowners are paid for the electricity they export to the grid.